We have many NCAA and college products that are a perfect gift for passionate fans. 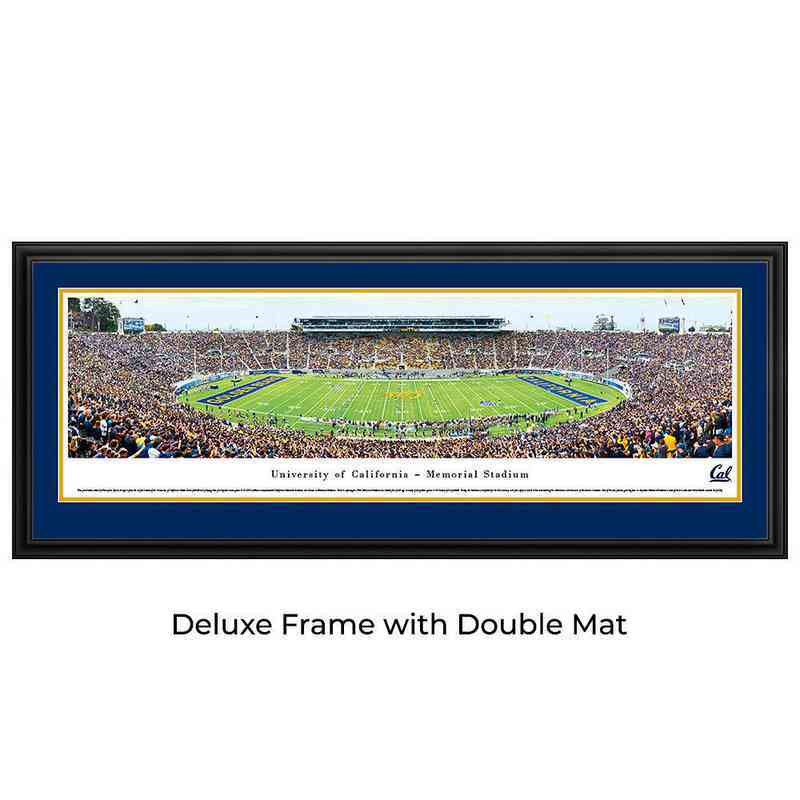 Show your team spirit for the University of California- Berkley with a Blakeway Panoramas game-day print. The state-of-the-art cameras capture amazing high definition photos that are so clear and life-like, you’ll feel like you were at the game. These officially licensed, made in the USA, large panoramic prints proclaim your allegiance to your team and create a focal point in the home, office or fan cave. They also make the perfect gift for the sports fan in your life. Unlike standard posters, they print on pH neutral heavy art stock with UV resistant ink to maximize the longevity of the print and minimize fading. This unframed 40 x 13.5 inch print is ready to frame and enjoy. The 40.25 x 13.75-inch standard frame showcases the print to complement any fan décor and is ready to hang with attached picture wire so you can display your team loyalty in seconds.The 42 x 15.5-inch select frame includes a single mat in the team's primary color, print mounting to prevent waviness and warping inside the frame and a 1 1/8-inch flat profile black wood composite frame and tempered glass for durability and safety. It is ready to hang with attached sawtooth hangers so you can display your team loyalty in seconds. The 44 x 18-inch deluxe frame includes a double mat in the team's colors, print mounting to prevent waviness and warping inside the frame and a 1 1/8-inch black powder coated beveled aluminum frame and tempered glass for durability and safety.